It’s a testament to form and function that the beer bottle has endured so long and changed so little. As sleek as airplane wings and smooth as polished stone, these laborers of the beer industry sweat like construction workers, sing like wind chimes when clinked and sigh like happy men when relieved of pressure. They’re an ever-present part of the beer experience. Still, the bottle remains an afterthought, unless one skittering across a floor provides a reminder of a good party gone, or until they accumulate in such multitudes that they must be lugged out for recycling in Hefty bags. But this engineering miracle of joy delivery deserves a hoist of gratitude and a cheers to its own, so say brewers who pour the work of their lives into each humble vessel. Brewers first began pouring beer into hand-blown glass bottles in England in the late 1500s. They capped them with corks and strapped them with wire, but the bottles still routinely exploded from the pressure of C02 produced by secondary fermentation. 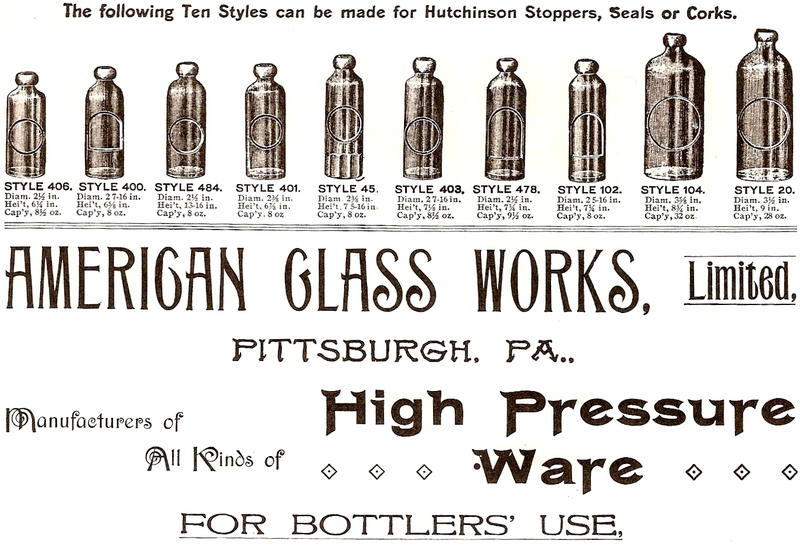 It took a century more of innovations in glass strengthening for bottled beer to gain wider acceptance. Early bottles were often thick, and dark. By the late 1800s, breweries in Europe and America began to mass-produce bottles cast from iron molds shaped roughly like the longneck bottles of today. In 1879 an Englishman named Henry Barrett invented the metal screwtop, which seems to have worked out quite well. By the end of World War II, the glass bottle as transport device for lager and ale had become the most popular way in the world to move beer—until cans came along. 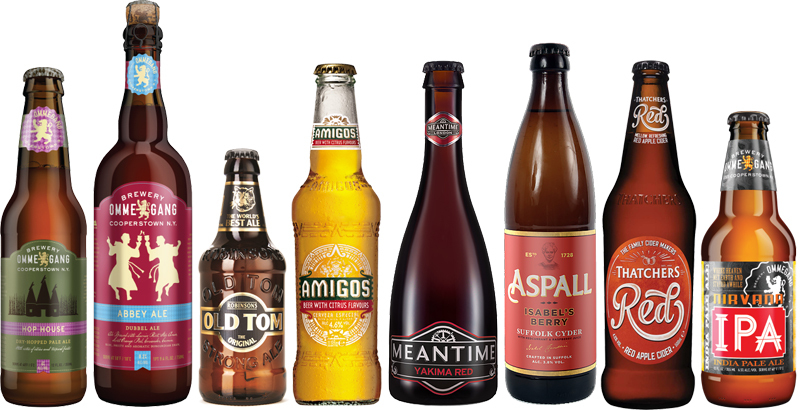 As brewing continues to proliferate, bottle styles are evolving. There are ceramic bottles, and one in the works by Carlsberg that is composed of wood pulp. Black glass and cobalt are still rarities in the industry, but quickly joining the traditional spectrum of clear, green and dark amber glass. Some breweries are beginning to mold special bottles with their names or special designs sculpted onto them. Others use bottles for specific beers, especially wheat beers like hefeweizen, where the glass bottles have bulbous necks to collect unfiltered particles of wheat as the beer pours. Most brewers choose brown bottles, because they let in the least amount of ultraviolet light, which negatively affects the alpha acid in hops, resulting in light-struck off flavor, commonly experienced as skunk. But some beers still are packaged in green bottles, like the ubiquitous Heineken, or in clear glass, like Corona. The majority of American brewers are sticking with brown, but that’s not always the case. This summer, Garrett Crowell, head brewer at Austin, Texas-based Jester King announced that limited quantities from a batch of Le Petit Prince, a farmhouse table beer, would be available in green bottles from the brewery’s tasting room. Le Petit Prince is also packaged and available in brown bottles. He says his love of beers like Saison Dupont sparked his experimentation. Whatever the reason a brewer has for using a particular shaped bottle or color, the fact remains that real thought went into the decision. “They’re a very elegant, easy to hold vessel,” explains Bob Hippert, operations capabilities manager at bottle maker O-I, noting the number of brewers seeking out traditional shapes for their beers. Common now for specialty beers, particularly ones that have high carbonation pressure, are 750 mL bottles that are as tall as Champagne bottles and sealed in old-time fashion with cork and wire. Take the example of the Noble Star Collection of beers made by August Schell Brewing Co. in New Ulm, Minnesota. For these, the brewery fashioned its bottles after a photograph of ones used for Berliner weisse from the turn of the 20th century. “And there is nothing better than the sound of a bottle being uncorked. It’s almost like a mini celebration,” says brewmaster Jace Marti. The bottle’s praises thus sung, a thought is owed to the alchemy that turns the ordinary rock dust into extraordinary receptacles for beer. From mines come sand, soda ash and limestone. In factories these are mixed, blended with shards of recycled bottles and heated until liquefied at 2,800 degrees F. Then molten globs are poured into molds. Once cooled, they are reheated for strength and only then ready to be filled, says Hippert of O-I. One of the best things about glass, so say its makers and users, is its neutrality. Glass generally adds no tastes, scents or textures to the liquids it holds, even after long periods of time. Its only added attribute is a sturdy and smooth touch to the lips. Bottles also carry symbolic cachet from the nascent days of modern brewing in America. For years, canned beer was almost exclusively domestic and mass-marketed—Budweiser, Coors, Miller and the like; it was also very expensive, and therefore cost-prohibitive for many small brewers. More eclectic beers, especially imported beers, often came in bottles. This loose association made an impression on young brewers who embraced bottling as a way to make their beers stand out from mass-produced domestic lagers. Some, like Sierra Nevada, noted that Budweiser often sold its product in longneck-style bottles, so the smaller brewer opted to use the heritage style to further distinguish its product. Briar Bush, senior sales manager for Lost Coast Brewery in Eureka, California, says those ideas persist. “Glass still conveys to the consumer that the brewery is willing to cut no corners in bringing its beer to retailers in a package that best guarantees brewery freshness,” he says. Today, one of the biggest packaging challenges for many brewers is finding a good, affordable and close-by supplier of glass bottles. Still, the options are far better than they were a generation ago. 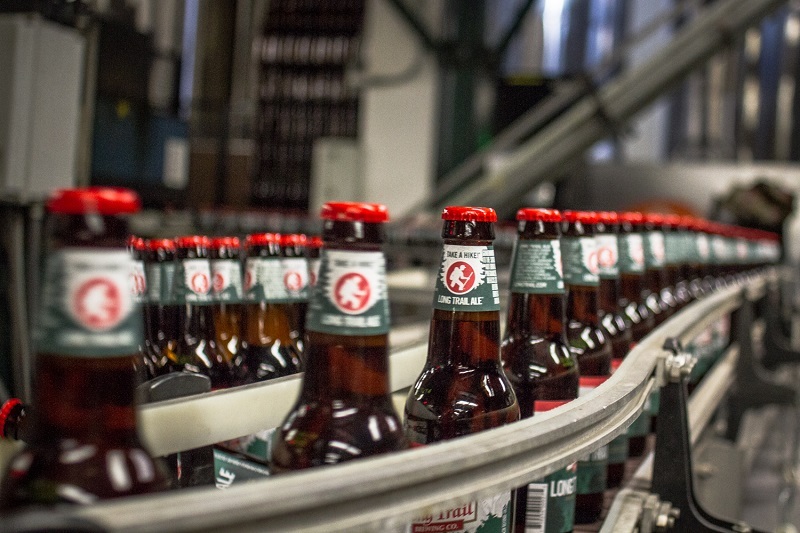 Matthew Quinlan, director of operations for Long Trail Brewing Co. in Bridgewaters Corners, Vermont, remembers that in the early 1990s he used recycled green bottles procured from a supplier in Long Island City in Queens, New York. To look fancier, Long Trail soon switched to its current style of bottle, the brown 9-inch longneck. As the brewing industry began to grow in the U.S. through the 1990s, so did environmental awareness. One of the things many breweries liked about bottles was how well they could be recycled. When asked if recycling plays a role in the decision of Left Hand Brewing Co. in Longmont, Colorado, to use bottles, spokeswoman Emily Armstrong doesn’t hesitate. “It absolutely does,” she says. Some breweries, like Louisiana’s Abita Brewing Co., have tried to use their glass bottles to push their environmental impact down even further. Abita opted to use a heritage-style bottle rather than a longneck because it uses fewer raw materials. With its stouter bottles, the company tailored its label—only one around the middle, none on the neck—and this saved paper. Then to move bottles by the half-dozen, Abita designed its packaging to similar effect: a full-enclosure box made with half the cardboard used in other six-pack holders. According to the Environmental Protection Agency, the amount of glass bottle recycling in the U.S. is on the rise. 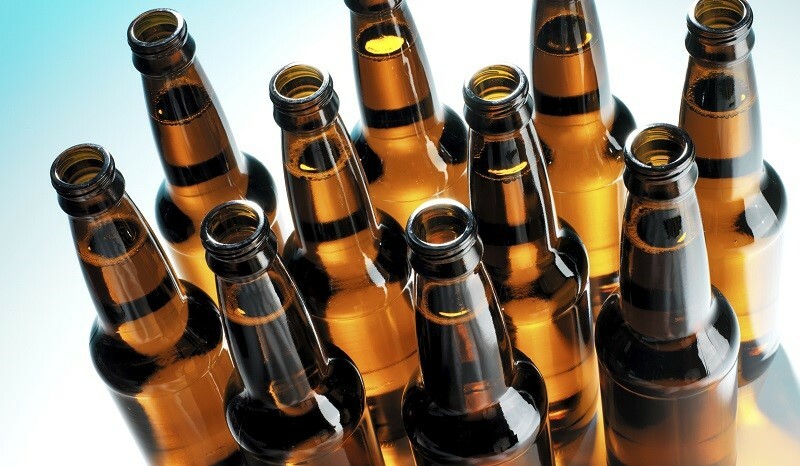 In 2012, 41 percent of all beer and soft drink bottles were recycled. In 2008, it was 35 percent. This is the equivalent of close to 7 billion more recycled bottles in that four-year period. Additionally, glass can be recycled endlessly, says Lynn M. Bragg, president of the Glass Packaging Institute, a trade association representing glass manufacturers in the U.S.
Glass recycling creates an energy-efficient cycle, she says. It takes less heat (therefore less energy) to melt recycled glass than it does to melt the raw materials—sand, soda ash and limestone—to make new glass. Unfortunately, infrastructure and opportunities to recycle glass vary widely around the U.S. In eco-friendly Portland, Oregon, the amount of recycled material in glass bottles can be as high as 65 percent, says Elizabeth Peery, a spokeswoman at O-I. However, in other places it is dramatically lower. Bottles represent “quality, purity, tradition and uniqueness,” says Phil Leinhart, brewmaster at Ommegang in Cooperstown, New York. Scott Dietrich, the vice president of brewery operations at Victory Brewing Co. in Downingtown, Pennsylvania, says that while he sees some breweries experiment with decorating their bottles, he sees value in keeping Victory’s unpretentious. Hilary Cocalis, director of marketing for Ballast Point Brewing Co. in San Diego, reminds that the bottle is mere conduit, however fantastic. Its insides are the raison d’etre. Nate Schweber is a freelance writer from Missoula, Montana, now based in Brooklyn, New York. His work has appeared in the New York Times, and he is the author of Fly Fishing Yellowstone National Park. I am Props Mistress for a production of A Streetcar Named Desire in the UK. I need to know the colour and shape of beer bottles in 1947. I hope you might be able to help?